Israel is not just famous because of its rich culture and religious history but also for its expensive cost of living. Expats bound here should brace themselves for the overwhelming prices in the local market that range from mid-level to high. Though the Israeli government made significant reductions on public transportation prices, insurance costs and excise tax on water, the cost of living in this country is still among the highest in the world. Despite being referred to as a ‘Start-up Nation’ because of its blooming hi-tech industry and undeniable potential, many residents and long time expats can attest that Israel is quite an expensive place to call home. Life in other prime destinations such as France is 7.28% cheaper than in Israel while the cost of living in the United States is lower by 6.87%. According to the 2016 Mercer Cost of Living Survey, Tel Aviv, which houses many expats is the 19th most expensive city in the world. Expats in Israel will find a huge difference between the prices in urban centres and rural towns. However, there is still no escaping the reality that one must be financially prepared before living in this country. Water consumption is restricted to Israel. A household of four members is entitled to 10 cubic metres each month while individual water usage is limited to 2.5 cubic metres. Water consumption above these set levels is charged higher than ILS 100-300 or USD 27-80 per month. Expats must be aware that water and electricity bills will reflect higher amounts as bills are sent out every two months. 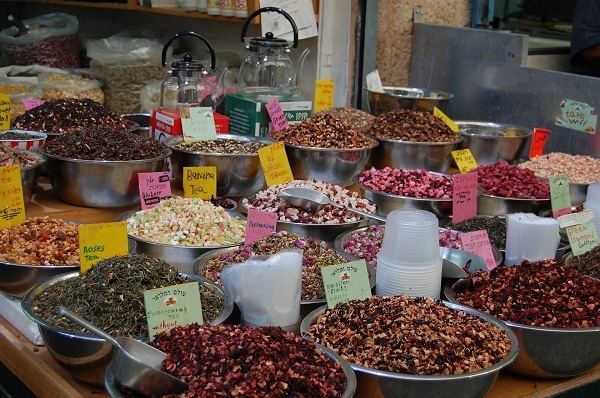 Products purchased in the market are the highest expenditure of those living in Israel. It consumes nearly 30% of an individual or household’s income. Generally speaking, goods shelved in supermarkets are pricier than those sold in shuks or outdoor markets. A family who buys their daily needs in groceries need around ILS 2,000-4000 or USD 540-1,000 to cover their monthly food expenses while those who shop in the local markets can cut down their budget to ILS 1,000-1,500 or USD 270-400 per month. Expats who want to save up are recommended to visit shuks on Friday afternoons for discounted goods. Driving in Israel is not a great option because of the excessive petrol prices. This country was ranked 3rd among 61 countries with the highest gas prices. The percentage of income spent on gasoline is 2.89%. Petrol prices are reviewed on a monthly basis. However, the current political situation that the country is going through can make living in Israel a challenge. Many Israelis ride the public transportation (bus and train) where the cost of getting from one place to another is cheaper compared to driving. Taxis are also a common mode of getting around in Israel especially for those who travel in groups.